What is the legal definition of a minibus? A minibus is a classed as a vehicle with between eight to sixteen passenger seats. A vehicle with over sixteen passenger seats is classed as a coach and requires a PCV D licence category. Note that manufacturers normally quote the total number of seats including the driver. So they quote and class minibuses as 9 to 17 seats. 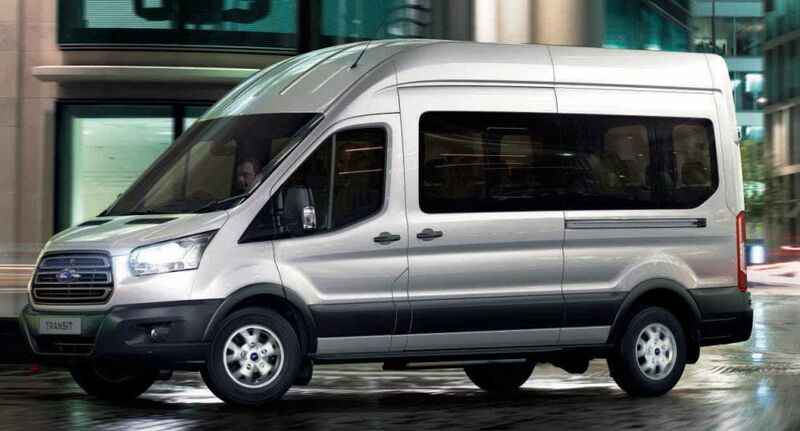 e.g 17 seater ford transit minibus has 16 passenger seats. The driving entitlement for a minibus is now referred to as a D1 licence (D1+E for towing a trailer). If you hold a driving licence issued prior to 1st January 1997, permitting you to drive Group A (or B for automatic) vehicles, you can drive minibuses in the UK but not in mainland Europe, provided you are over 21 years of age. (On new style licences the corresponding categories which allow the entitlement to drive mini-buses are listed as B and D1). i.e your licence will show a group A (B for automatics) on an old style green or pink licence or as category B and D1 (not for hire or reward) on a pink and green photocard licence. That being said, driving of the minibus must not be for hire or financial reward and the mini-bus must have no more than 17 seats, including that of the driver. Drivers who passed their test after 1st January 1997 are not given this category and are now required to pass PCV minibus theory, medical and practical tests to obtain a D1 licence. In these circumstances however, you may drive a minibus with up to 16 seats only in the UK provided that you will be driving on behalf of a non-commercial body for social purposes, but not for hire or reward unless under a permit. You will also need to be over 21 years of age and have held a car (category B) licence for at least 2 years. The services you are providing must be on a voluntary basis and the minibus maximum weight must be no more than 3.5 tonnes (3500 kg) excluding any special equipment for the carriage of disabled passengers (4250kg). Drivers aged 70 and over will also need to meet the health standards for driving a vehicle (i.e. minibus) which comes with the D1 class. If you are driving for hire and reward under a Section 19 permit and you are being paid, you can only do so if you have passed a further test to obtain Category D1 Licence. If you have passed your driving test on or after January 1st 1997 and you wish to drive a minibus with a gross weigh in excess of 3.5 tonnes you will have to pass a D1 driving test. If you passed your car driving test before 1 January 1997, you automatically gained a licence with Category B and D1 entitlement, or Groups A and B on older licences, qualifying you to drive minibuses as well as private cars. The Ford Transit 11 seat(350) and Ford Transit 12 seat(350) minibuses. Many commercial businesses operate transport their staff to and from their place of work using their own minibuses. If the staff are charged for this service, then this is classed as ‘hire or reward’ (see above) and the appropriate licence would be required. If the staff were transported free of charge, this is not classed as ‘hire or reward’. Specific advice for schools on buying and driving a minibus. Tachographs are installed to monitor the amount of time drivers spend driving a vehicle and new government legislation requires businesses, schools, charities and other organisations operating minibuses with 10-17 seats commercially, to fit new digital tachograph equipment which will need to be operational for use in the UK from April 2007. All vehicles, over 3.5 tonnes (3500kg), registered after 1 May 2006 are legally required to have a digital tachograph fitted. Minibuses with more than eight passenger seats registered after 1 May 2006 will also need to be fitted with digital tachographs. Vehicles registered prior to this date will require a tachograph to be fitted retrospectively and these vehicles had until 31st December 2007 to comply. During this period of compliance until a tachograph is fitted, drivers must keep an extract of the duty roster and service timetable. The new digital tachograph unit operates by use of a driver’s card which is inserted into the driver card slot located in the front of each unit. Each driver has his or her own individual card and should be used and kept with the driver at all times when undertaking any driving activity with a vehicle equipped with a tachograph unit. Driver’s cards are available from the DVLA at a cost of £38 each and will last for a period of 5 years. There are some exceptions where tachographs will not be required for domestic work in the UK. These include the exclusive use of the minibus for the non-commercial carriage of passengers, or by a local authority to transport the elderly or disabled. 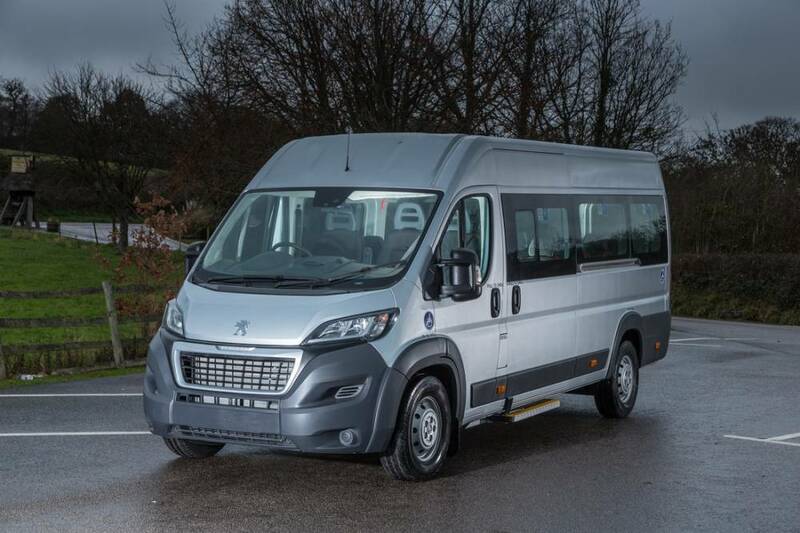 Minibuses which can carry 9 or more persons (including the driver) and are used on journeys to or from the continent or the Republic of Ireland, come within the scope of European Union (EU) and other international regulations governing international bus and coach journeys. Driving a minibus abroad requires compliance with more complex legislation. The exceptions given by a Section 19 permit do not apply and a post 1 January 1997 licence cannot be used in any circumstances unless the necessary PCV test has been passed and an unrestricted D1 category added. Pre 1997 licenses could be used for some journeys where no students are being carried but in most cases these divers also need to have passed a PCV test. EU Regulations also require a tachograph to be installed and used for international journeys and you will be required to comply with the EC Drivers' Hours Rules. For trips abroad, a tachograph must be used from the start of the journey in the UK, with a new disc for each day, continuing until the end of the return journey to the UK. There must be one chart per driver per driving day. There are heavy fines for failing to install and correctly use a tachograph. Deliberate falsification of a tachograph can also result in imprisonment. Further information is also available from the Road Haulage Division, Department for Transport, Zone 2/11 Great Minster House, 76 Marsham Street, London, SW1P, 4DR. For general enquiries on taking a minibus abroad you should telephone 0300 330 3000. What are the rules on drivers’ hours for minibuses. Further information on both the EU and Domestic Drivers’ Hours Rules is published by VOSA in (PSV 375) obtainable as above. A vehicle which is being used on a Section 19 permit is still a public service vehicle and is subject to domestic drivers’ hours rules when a person is driving in the course of his/her employment. Therefore if payment to the driver has taken place (unless it is out of pocket expenses) then domestic drivers’ hours rules apply. Domestic drivers’ hours rules do not apply for the private use of a minibus or when permit vehicles are driven by volunteer (i.e. unpaid) drivers. Obviously if a vehicle is being used as a PSV on a Regular Service (local/ non local) then the relevant domestic drivers’ hours rules apply (or in the case of a route exceeding 50 km, EU Hours’ Rules). For PSV non-regular services when a minibus is being used for a non-regular national service, then domestic rules apply. For international services then the EU rules apply. If a minibus is being used for international journeys (including private use) then EU drivers’ hours rules apply.